Streatham Cleaners is a professional and highly experienced end of tenancy cleaning company that can come to conduct your SW16 end of tenancy cleans at any time that you need our effective and high quality assistance so call us today on 02084347352 so as not to miss out. When you are in the process of relocating, you may find that you are far too busy to start taking onboard the cleaning chores of your current property prior to moving out or in. When you are in need of professional and reputable Streatham end of tenancy cleans that can be undertaken at any time you choose so that they are highly convenient for you, our team of experts can do wonders for you and your property. Although our high quality SW17 end of tenancy cleans are used by all types of property movers, including both commercial and domestic property owners, as well as landlords too who are hoping to make a good impression in front of their new property tenants, the main type of clients that can thoroughly make use of these services are those people who currently live in a rented property and are planning to move out of it sometime in the near future and therefore need to conduct a thorough cleaning of the whole property in order to meet with the high standards of the property landlord so that you can guarantee that you will get the rental bond back of which you initially gave to the landlord when you moved in to the property. By calling 02084347352 today you can not only guarantee that you will get your rental bond back but you can be sure that you have left your property in a clean and fresh looking state for the new tenant! 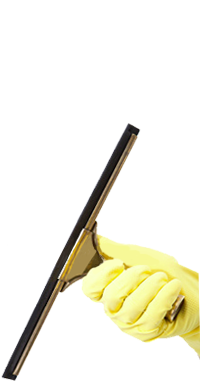 When our Streatham end of tenancy cleaners come to clean your domestic or commercial property prior to you moving out of your current property we will get to every corner and area that you alone may not have the time, equipment or supplies to get to. You may also not even think about undertaking the cleaning of some areas of your home or office environment if you yourself think that the area might not seem unclean or in need of professional cleaning Streatham but to be absolutely sure that you get your rental bond back and to make sure that the new tenant and of course, the landlord are going to be pleased with the state in which you have left your property then hiring our SW17 end of tenancy cleaning experts to undertake the full and thorough cleaning of your property is the right thing to do. It is better to be safe than sorry and for that reason hiring our quick and efficient SW16 cleaners is the most effective way to guarantee that you experience no issues with getting back your initial rental deposit. Nobody wants to lose their rental deposit when they are in the process of moving out of their renting property, which is why hiring Streatham Cleaners to provide you with fast and convenient property cleaning services prior to leaving your property can help relieve you of at least one stressful issue when you are in the process of moving out. We all know how stressful relocating can be so if you want to save yourself the time consuming job of cleaning your property then 02084347352 is the number to call now! Company name: Streatham Cleaners Ltd. Description: Streatham cleaning company SW17 having dedicated cleaners SW16 handling carpet and upholstery cleaning easily as well as home, office and end of lease cleaning.